We were novated to provide Architectural Services for the main contractor, O&P Construction of Rotherham, for this new build project for Sheffield Housing Association. There were four apartments in total, over two floors, and they were constructed to Code 3 of Sustainable Homes, meaning that the construction of the project was greener than the minimum building regulations. 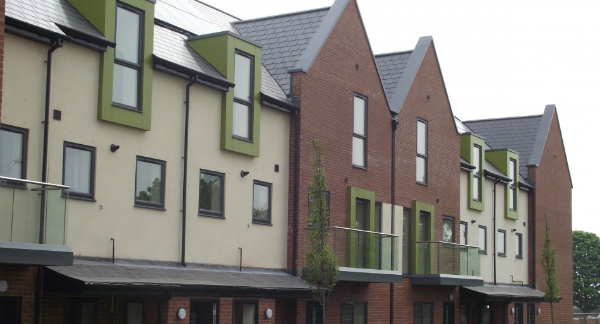 Architecturally, the building took a traditional form however, there were several contemporary elements to the build, such as the green cladded boxes around the windows, and standing seam aluminium roof, which we believe set the building apart from other similar local developments. We thoroughly enjoyed working alongside O&P Construction, who were able to easily interpret our very detailed drawing package, and expertly construct the building on site.